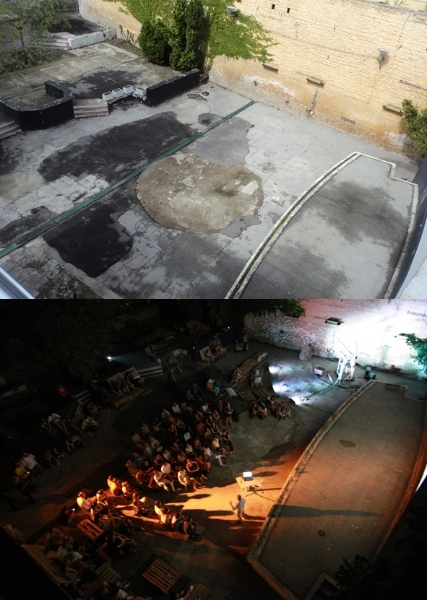 The Backyard is a site-specific project realized in June 2012 for the purposes of 39th International Festival of Alternative and New Theatre (INFANT) in Novi Sad. 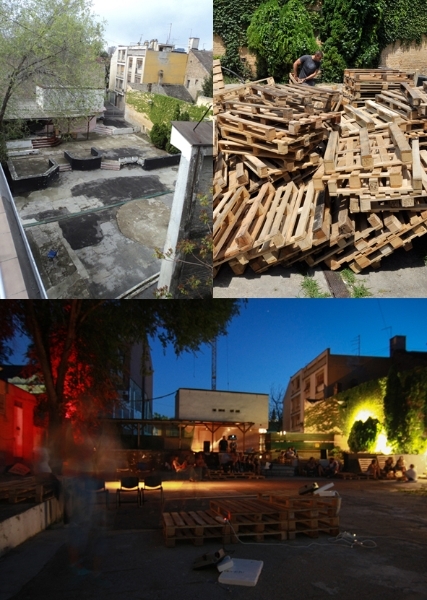 Main aim of this project was to actualize the problem of the Cultural Centre’s open stage that exists, abandoned and devastated, in the backyard of the building, situated in the old core of the city. 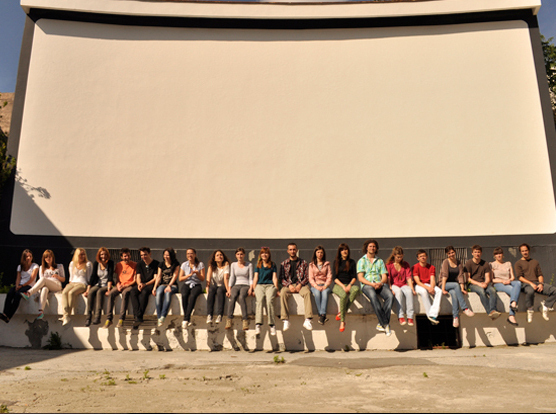 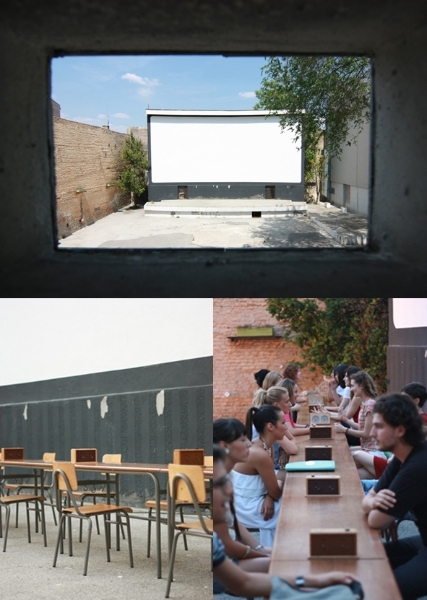 The idea of revitalization of this specific space was realized through two-phase workshop with 29 students of architecture, resulting in provocative ephemeral transformations which included screening of students’ video works about this space, multimedia installations, hosting of lectures and discussions, as well as INFANT’s official programme. 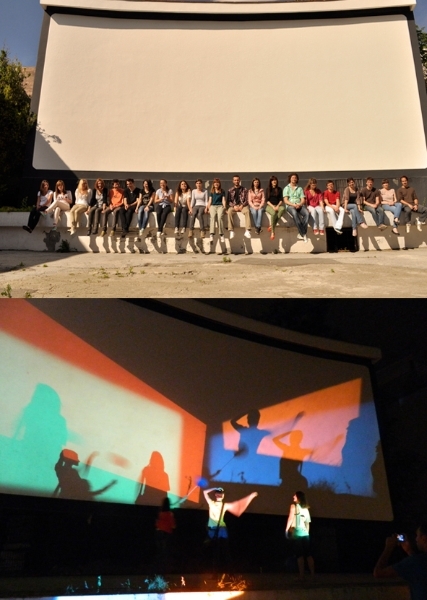 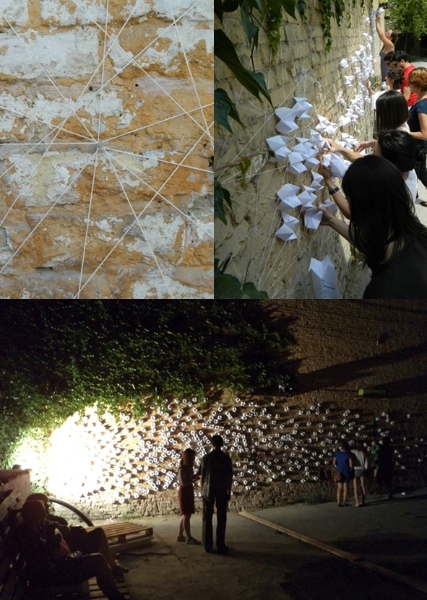 During the interval of 9 days these activities have turned the Cultural Centre’s Summer Stage into a Meeting point between the Festival and the City.